When it comes to starting your own business, you have to think about which legal form your business should take. Decisions about business formation will be guided by the type of small business you’re starting, your attitude about personal financial risk and whether you are starting a business by yourself or with partners. Becoming a self-employed as a sole proprietor is quick, free and easy. It’s likely to mean you pay comparatively less tax, while you can still employ people – but it makes you personally liable for any debts should your business fail. This means your possessions and maybe your home could be at risk. If you plan to keep your costs and debts to a minimum, you might conclude it’s a risk worth taking. Further down the line you could decide to turn your sole proprietor business into a corporation or limited liability company. Setting up a corporation or limited liability company removes the personal financial liability providing you don’t give personal guaranties of any debts. Setting up a corporation or limited company requires more effort and running it creates additional reporting and management responsibilities, which is likely to increase your costs. Corporations and Limited Liability Companies (LLCs) are the preferred entities for start-ups because of the limited liability protection they afford owners. Corporations are the most frequently utilized formation vehicle, particularly for companies that anticipate growing very large and seeking venture financing. LLCs are pass-through entities that are not subject to a separate level of tax and can provide founders with lots of flexibility when it comes to governance issues. Subchapter “S” corporations offer pass-through treatment like an LLC if certain requirements are met. If you are ready to start your own business and your business plan and market research are complete then forming a business is the next exciting leg on the entrepreneurial journey. To form a new company you really have two options - start a new business or buy an existing one. You might want to get a head start by buying an existing business so that you don’t need to start everything from scratch. In some instances, it is easier and less risky to buy a business, something that will generate a good return on your investment. Buying a business can be very successful, providing the right ingredients are already in place, like having great products or services that aren’t being marketed effectively or a great team of employees that aren’t properly motivated. 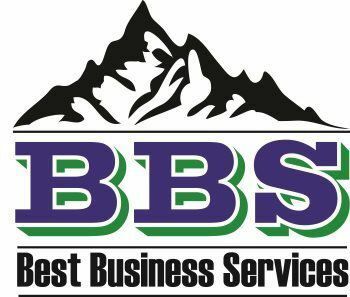 With the help of BBS, you can provide the right motivation, drive, ability and fresh perspective to take the business forward to new heights. BBS can help you navigate which structure is best for you and help get you up and running quickly.